Tagging is a key tactic for your visibility on Medium, yet some of its aspects are often neglected. Unless you are directly featured by Medium, tagging is a key tactic to let the Medium algorithm channel your stories to the readers. For your visibility on this platform, proper tagging is important in stories as much as in comments. The distinction between topics and tags is not documented on Medium. Topics and tags are distinct things (just note the difference between the page of a topic and the page of the corresponding tag), but at the same time they are related. Stories in the Art category are all likely to have the Art tag, for example. So, the way you tag your story is directly related to the topic you are addressing and in which your story will hopefully appear. Medium allows up to 5 tags per story. Using fewer tags means to take advantage of fewer opportunities. As a reader, you explicitly tell Medium which are your interests, by selecting certain topics. Medium digest and home page are in part based on this customization, for all users. So, addressing specific topics, as a writer, can make the difference. But which tags to use? First off, be aware that Google will completely ignore those tags. Tags don’t even appear in the meta tags of the page, and there’s nothing wrong with it. Google is now smart enough to ignore those self-defined keywords. Addressing Google is a matter of SEO, and it’s a completely different topic, which has much to do on how you use words in your article (title and URL included) in relation to the target keywords. But tags are used by Medium. And Medium algorithm has knowledge of related tags, probably much beyond the related tags you see in the page of the specific tag. The first rule you should consider is that tags need to be relevant to your story. If tags are not relevant, you risk that Medium algorithm may be confused by the discrepancy between tags, title, and text. Also, you risk addressing the wrong audience. Maybe addressing the “Writing” audience promises more visibility, but if your content has little to do with “writing” you’re failing many readers and, at the same time, losing the opportunity of addressing the interested readers. The more the tags of your story are relevant, the more you’ll address the proper — and hopefully appreciative — audience for your article, and the more Medium will have a clear indication of which are the targeted topics. This first rule is especially important in relation to the title, of course. Including one or two tags which are exactly words from the title — and also relevant for the text — is the best. You should even consider rewording your title if matching tags are not possible. Remember the overall relevancy. Including a word of the title — as a tag — which has no meaning for the rest of the story will just be a waste. The more your title, text, and tags are coherent, the better. Among the relevant tags, you may have more options. Or you may have options to tweak tags slightly. You have now to address the intended audience, having in mind your readers and what these tags mean to Medium. Maybe a couple of tags are an obliged choice, but other can render the nuance. Blogging coupled with Writing may address a slightly different audience than Blogging and Social Media. Also, the existence of a topic for a specific tag means that the tag is important for Medium (for example, True Crime and San Francisco have both a topic, while Poetry or Paris doesn’t…). Art has a much different weight compared to Acrylic Paint. A much relevant but too specific tag may have no audience at all, here. In that case, consider to replace it with a more popular yet relevant tag. Checking the number of stories for a tag (the number appearing when you add a tag) that you’re going to add gives a rough measure of its potential. But pay attention that that number is the number of stories (and comments) which include that tag, not the number of readers. The 260k+ stories tagged Life don’t mean that you will be exposed to 260k+ readers. It just means that, with the lucky alchemy, you may be exposed to more readers than using Marker Pen. But pay attention that you are also competing with 260k+ stories, so choose the other tags carefully. Finally, pay attention that you should not force your tags to address an audience. The story should do it. If addressing an audience requires stretching the tags outside their relevance, you have a problem with the story in the first place. You would fail your audience in any case. Better to keep tags relevant, addressing the right audience for the story, and leave the opportunity of a better focus to the next story. To build an audience, you should address similar topics consistently. You gain real followers when they see good content from you, interesting for them, over time. You can of course experiment (I leave myself completely free to experiment), but if you address a different audience with every story, you’ll never build an audience. Tags have a role, in it, in more than one sense. If you have the opportunity to use one or more tags across more stories, it’s more likely that those stories will be delivered to the same readers. If you have in mind to address a specific topic, you should prioritize tags related to that topic and, possibly, the tag with the same name of the topic (Art, for example, which is both a tag and a topic). But tags also have a specific meaning, for Medium: the Top Writer. Being a Top Writer doesn’t mean much, on Medium. It’s a pretty useless vanity label. But it may add some flavor to your profile page, especially at your beginnings and, most of all, gives you a little more exposure by appearing in the Top Writer tab of the tag. Not all tags sport the Top Writer tab, so prefer tags with the Top Writer and stay consistent with them across stories about the same topic. You’ll likely need more stories/comment, to get the Top Writer. And the Top Writer disappears after few weeks if you don’t continuously feed it. Anyway, keep remembering not to force the tags, or you’ll force your story to the wrong readers. If you have specific readers in mind, that should be considered before writing the story, not when deciding tags. Medium knows how tags are related. So, some tags may slightly overlap and share the same effect. If two tags are key for your article, a reinforcement is welcome, but maybe other tags are just a repetition or add a too narrow focus. When selecting tags always consider the opportunity cost. One tag may seem more relevant but is hitting the same button. 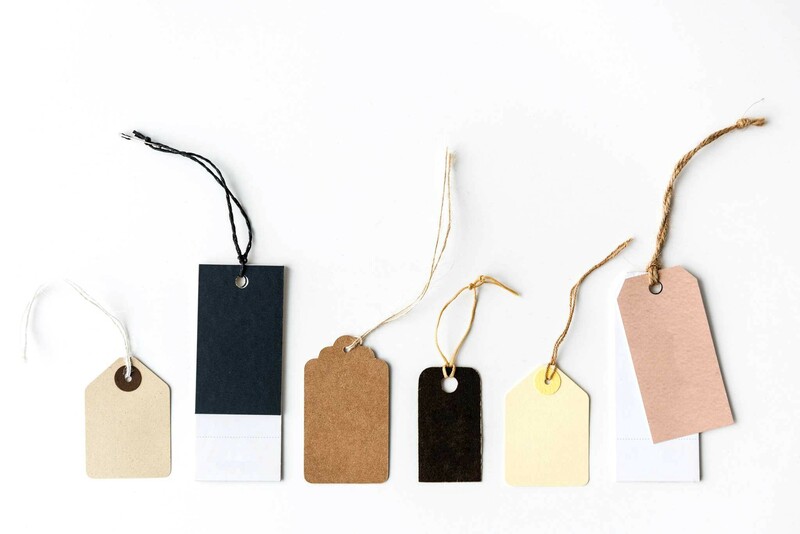 Choosing a different tag may give exposure to a different angle of your story. If your story is about writing, you shouldn’t select all of the five tags about writing. Observe your story from different perspectives. Extract the key points. Is it about creativity? Is it advice? Is it about motivation? Don’t limit your observation to topics. Is the genre relevant? Is it poetry? Or short fiction? Maybe it’s a genre with a specific interested audience. 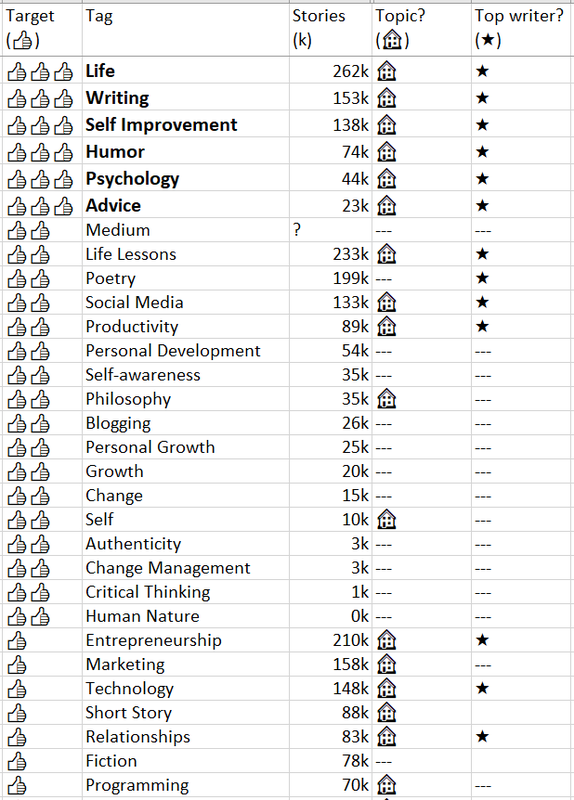 Finally, it could be a good idea to place side by side popular tags (e.g., Life, Self Improvement, Writing, …) with less popular tags (e.g., Habits, Critical Thinking, …). But try to avoid very unpopular tags (few hundredth stories), unless they are particularly relevant. They may seem an effective focus but remember that you’re losing the opportunity of other tags. We all know that comments are an important part of the visibility on Medium. And we know that comments are in part similar to stories. So, till your comments are sincere and you use only relevant tags, there’s no reason to be ashamed of tagging them. It may sound like a hack, but we all know that writers need visibility, here. Given that the comment is there, a few seconds dedicated to tagging can be a great improvement to your visibility. And it may also be a favor to readers, who may stumble in comments they’re more interested in. Comments do not appear in the daily digest or the Medium home page, but does appear in your profile and… they heavily contribute to your Top Writer. The Top Writer is maybe the most important contribution of comments. I got many Top Writers just by tagging comments. Consider that your comments, usually, numerically outpace your stories. It’s a good habit to keep track of some possible tags, especially those you are interested in targeting. I still have a spreadsheet that I often consult when tagging, even if it’s not always updated. It’s less important for me, after 15 months on Medium, because the above suggestions are already well embedded in my mind, but it’s still a good idea to check it, because you may simply forget some useful tag in a precise moment. A quick look, especially at your priority tags, can avoid oversights. Pay attention that the Top Writer is available only for some tags. The same is for topics. The following is a clip from my spreadsheet, as example. Tags are sorted by priority for me and by popularity. Stay relevant, address the proper audience, insist, diversify. And don’t be ashamed of using tags in comments.